And tell me what street compares with Hutt Street in July? Running off Spring Bank, Hutt Street is one of those mid 19th century rows of terraced houses built to accommodate the booming population of Hull. 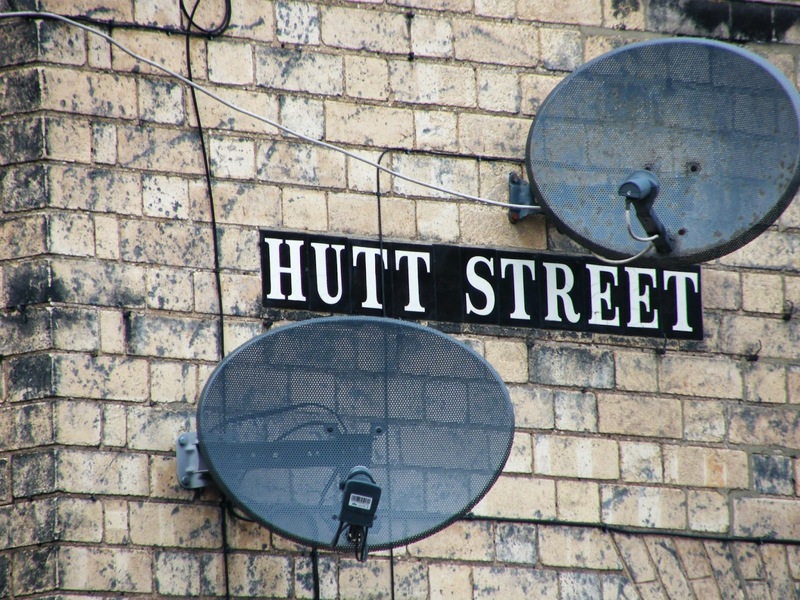 The street is named after Sir William Hutt MP for the city. Looking into Mr Hutt online I find that, yes, it is agreed he was MP from 1832 to 1837 when according to the internet he was defeated by William Wilberforce. Now you’ve all heard of William Wilberforce haven’t you? Abolished slave trade and all that, died in 1833, whoops hold on a minute, died in 1833? How did the dead William defeat the very much alive William four years after dying? I don’t know but the said Wilberforce was unseated by petition (not exorcism?) in 1838, maybe they couldn’t stand the smell. Surviving this encounter with the spectral Wilberforce Mr Hutt went on to become MP for Gateshead and served under both Palmerston and Russell. Hull has Hutt Street but New Zealand has Hutt City (upper and lower) along with the Hutt river, not to be outdone South Australia has a Hutt river as well. At this point I’d like to thank Wikipedia and those who clearly cut and paste from this excellent source for inspiring such trust in the collective effort to make history more interesting.